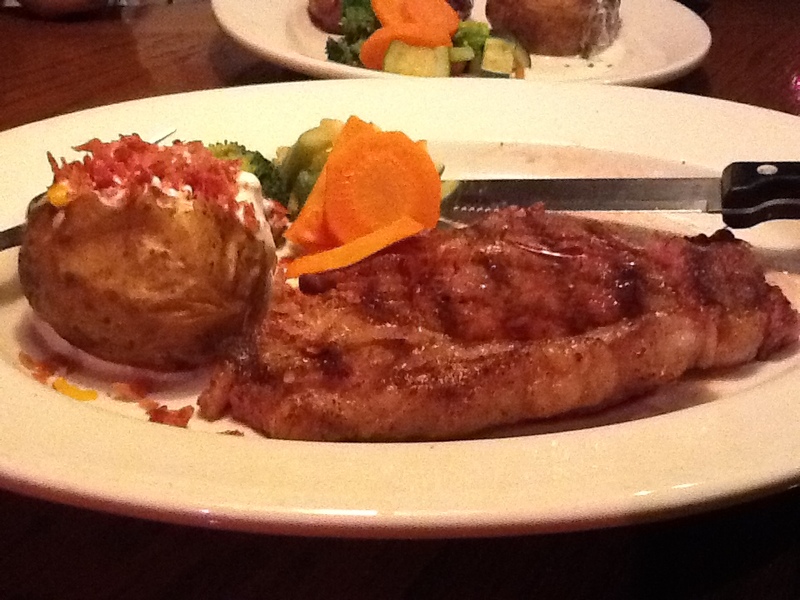 Ribeyes are my preference, and Outback is pretty consistent. But after the damn test results, I decided to try other "healthier" cuts. Instead of the usual 10 oz Ribeye shown above, I opted for the smaller and leaner 6 oz tenderloin, the Victoria's Fillet at Outback Libis, with baked potato (yup, without the bacon bits) and steamed veggies (and yes, no butter), so how bad can it be, right?